Like most of our species in this genus, found in dry fields and along roadsides. First collected in Michigan in 1895, in Kent Co. Sporadic in appearance, in old fields and along roads; it is not certain that all (or any?) of our collections represent natve occurences. MICHIGAN FLORA ONLINE. A. A. Reznicek, E. G. Voss, & B. S. Walters. February 2011. University of Michigan. Web. 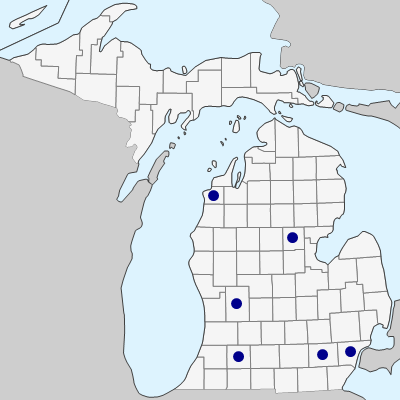 April 21, 2019. https://michiganflora.net/species.aspx?id=1961.